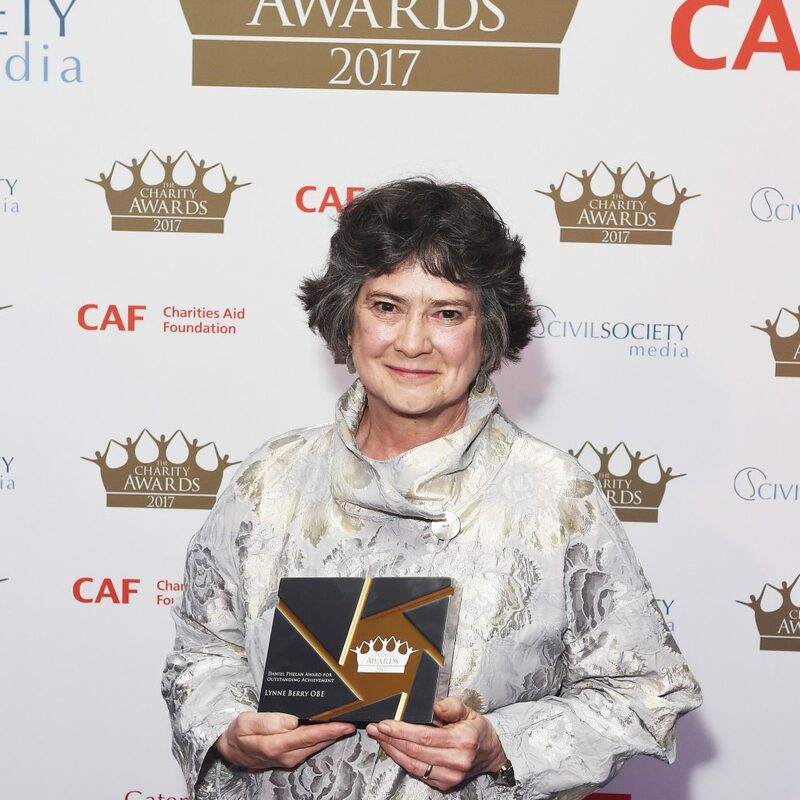 Lynne Berry has spent a lifetime as a leader in the charity sector, not just as a chief executive but as a campaigner and trustee. David Ainsworth met her. But Berry’s most exceptional contribution to the sector is perhaps outside the workplace, in her formidable non-executive CV. She is the chair of the newly-formed Breast Cancer Now, vicechair of the Canal and River Trust, chair of the Commission of the Voluntary Sector and Ageing, a fellow at Lucy Cavendish College in Cambridge, an honorary fellow at Cardiff University, a professor at Cass Business School in London, and trustee of four other charities. Berry describes herself as “still a community worker at heart” and says she has tried to contribute not just through her day job, but “as a volunteer, an activist, a campaigner and of course as a trustee”. She believes that movements and communities, not big organisations, are the real heart of the sector. She qualified as a social worker, and worked in Wandsworth, then became a community worker in Camden. After work in academia and the civil service, her first chief executive job was at the Family Welfare Association, now known as Family Action. Berry became involved in NCVO as a trustee, and worked on the Deakin Report, which drove thinking about the sector for many years. From there she moved to the Charity Commission, where she says she tried to shift the focus from a technical assessment of charity law to the broader one of public trust and confidence. Since leaving the regulator, Berry has spent much of the rest of her time in campaigning roles, both inside and outside the sector, and she is keen for the sector to continue to advocate. “I feel very optimistic about social activism,” she says. “Technology means our voices can be stronger. “The idea isn’t to interpret the world. The idea is to change it. Before Shelter brought homelessness to people’s attention, for example, no one thought it was a big issue. Charities have a role in identifying social problems and putting them on the agenda.” As leader of the Equal Opportunities Commission she campaigned for the rights of women to equal pay. In her next job at the General Social Care Council, she fought to have social care workers have the same recognition as healthcare workers – a battle which is still going on, a decade later. And in her final full-time role as chief executive of WRVS, she spent her time seeking recognition for older people. The voluntary sector, she says, is as ageist as anyone else. “One of the most important things I’ve done is the Commission on the Voluntary Sector and Ageing,” she says. “At WRVS I heard a lot about ‘little old ladies’ but these were actually incredibly skilled people who were keeping the country and community functioning. The sector depends on the volunteering of the old. “The sector is focused on getting more young volunteers. Well, what about old volunteers? Don’t assume the next generation is going to be as understanding at this one has been.” She also questions the focus on reducing the age of charity boards. Berry herself is emblematic of the volunteering generation. Since leaving WRVS, she has “gone portfolio”, with a bewildering array of trusteeships, memberships and academic posts. One of her key themes is encouraging cross-sector collaboration. “You can’t get things done by just prodding from the outside,” she says. “You need to convince those with the real power that they need to make those changes happen. That’s what’s happened at the Canal and River Trust – this extraordinary transfer of public assets into the voluntary sector. Her highest profile role, though, is at Breast Cancer Now, formed by the recent merger of Breast Cancer Campaign and Breakthrough Breast Cancer. She is sure the merger will be judged a success. “Some of the pink fog is already beginning to dissipate,” she says. One of Berry’s key messages to the sector is that it has to prove it is making a difference. Here she believes the focus of charity law is in the wrong place. While there are careful prescriptions for how charities must report the flow of money, there are few rules about how they must communicate their social impact – only boilerplate public benefit statements. “It’s odd that there is nothing in law to require charities to demonstrate their impact,” she says. Berry is involved in Pro Bono Economics, where some reporting standards are being developed to help charities assess whether their work is really effective. So what has been the biggest change in charity since Berry began her career? “A sense of confidence,” she says. “Charity believes in itself. And when I started, there wasn’t the same sense of a sector, just individual organisations. “But I think the sector has too often looked to the state for the solution. Too often we’ve wanted to identify the problem and ask government to fix it. We should be trying to solve things ourselves. We can do things government can’t do. We can tap into people’s knowledge and expertise and skill. We should stop complaining and try to sort it out ourselves. Berry is keen to make the sector stronger. Charities, she feels, aren’t engaging as well as they could with the public. “It’s about movements, not organisations,” she says. “It’s about civil society, not charity. “We need a society in which people can contribute, in which they feel empowered and engaged, in which they feel they have a voice. There are an awful lot of people who just feel ignored. If we’d succeeded in building a strong civil society, people in the UK wouldn’t feel so marginalised.